Here we wrap up all the comment directly from the Tax Working Group itself and the initial response from the Government, as well as referring to the minority view of three members of the group. Concerns about the structure, fairness and balance of the tax system have led to the Tax Working Group recommending the Government tax more income from capital gains. Group Chair Sir Michael Cullen says our system has many strengths but there is a clear weakness caused by our inconsistent treatment of capital gains. “New Zealanders earning just salary and wages are taxed on their full income but we have several situations where you can earn income from gains on assets and not be taxed at all. “All members of the Group agree that more income from capital gains should be taxed from the sale of residential rental properties. The majority of us on the Group, by a margin of 8-3, support going further and broadening that approach to include all land and buildings, business assets, intangible property and shares. The Group recommends that a tax on capital gains would kick in when an asset is sold or changes hands and would be applied with no discounted tax rate and no allowance for inflation. Gains would be calculated from when any new law comes into force. Three members prefer for this to apply only to residential rental property. Sir Michael says the Group has presented the Government with choices and options rather than a rigid blueprint. The Tax Working Group estimates that broadly taxing more income from capital gains will raise roughly $8 billion over the first five years. “If the Government chooses to proceed down this path, it then unlocks opportunities to reduce taxes in other areas so we have given them some options to consider,” says Sir Michael. The Group has investigated a range of reductions in personal income tax. Its preferred approach is allowing New Zealanders to earn more at the lowest tax rate of 10.5%. This would reduce income inequality, benefit all full-time workers, and support those transitioning into work. The Group has identified a range of measures to encourage saving, targeting those at lower- and middle-income levels. These include refunding the Employer Superannuation Contribution Tax (ESCT) for KiwiSaver members earning less than $48,000 a year and cutting the KiwiSaver tax rates for low- and middle-income savers. These reductions would mean that this group would pay less tax overall on their KiwiSaver, even if the income from capital gains on their accounts is taxed. The Group sees the current approach to the taxation of business as largely sound and sees no case to reduce the tax rate or introduce a progressive scale for companies. However, it is recommending measures to help businesses to grow, be more productive and lower what they spend complying with our tax rules. “Deliberations over extending the taxation of capital gains have taken up a considerable amount of time but our final report is about far more than that single issue,” says Sir Michael. “The report has a strong focus on the environment and recommends better use of taxes to discourage activities that cause negative impacts. We have developed a framework for deciding when such taxes can be best applied. The Group has recommended a number of measures to safeguard the integrity of the tax system and improve its administration, which it thinks should be implemented regardless of whether a tax on more income from capital gains goes ahead. • Increased enforcement of closely-held companies as there appears to be a set of integrity issues around their tax affairs. • Inland Revenue’s crackdown on the hidden economy could be strengthened with the introduction of stricter reporting requirements. • A single Government debt collection agency should be established to achieve economies of scale and fairer outcomes for New Zealanders who owe money to the Government. • A taxpayer advocacy service should be established to help small taxpayers in dispute with Inland Revenue. • Regular reviews should be conducted of the charitable sector to ensure the tax concessions enjoyed by the businesses they run are being put towards the intended social outcomes. “The Final Report represents the end of our work on the Tax Working Group but the national conversation we’ve all been having about tax will continue,” says Sir Michael. Read the Final Report with supporting videos and factsheets at www.taxworkinggroup.govt.nz. YouTube links to videos explaining key findings in the Final Report are provided below. ·Business Advisory Council and Small Business Council. The PM’s Business Advisory Council and the Small Business Council have been tasked to come up with a strategic approach to supporting business across central agencies. Three of the eleven members of the Tax Working Group do not favour the Group’s recommendations on capital gains tax. 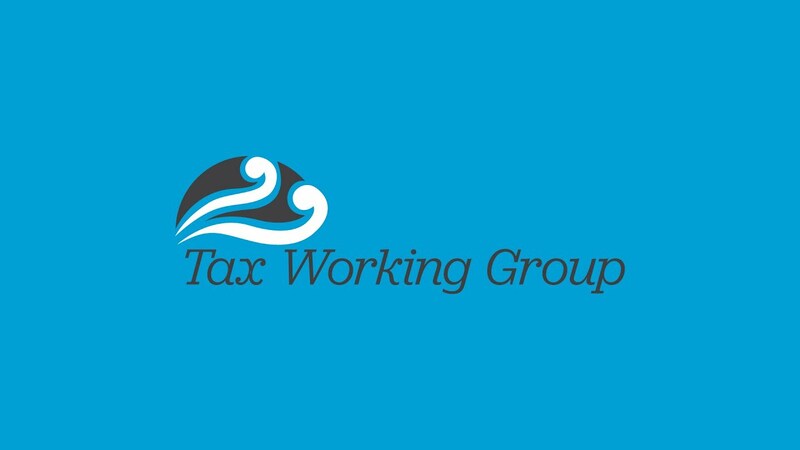 Group members BusinessNZ Chief Executive Kirk Hope, former Bell Gully tax partner Joanne Hodge and former Inland Revenue Deputy Commissioner (Policy) Robin Oliver do not recommend that the Tax Working Group’s proposed capital gains rules should be implemented. Their view is that administration costs, complexity and investment distortions that will result from the rules would outweigh the revenues that could be gained from a comprehensive capital gains tax as proposed, and it would not significantly reduce overinvestment in housing or increase tax fairness. The minority group considers that a more limited capital gains tax could be appropriate if focused on rented residential property where most revenue could be raised. The minority group does not support a capital gains tax on business assets, saying this could discourage investment and innovation and tend to lock businesses into current asset holdings. Concerns with the ‘valuation day’ approach (taxing growth in the value of assets from the proposed commencement date of 1 April 2021) include its vulnerability to conflicting valuations of assets. The minority group has concerns with taxing both shares and business assets on the grounds that this could create double taxation, penalising New Zealanders owning shares in New Zealand, and making overall taxation on investment less consistent. The minority group recommends retaining New Zealand’s current relatively simple and efficient tax system while amending some specific current rules and better enforcing others. A better URL for the Minority view here. It can be seen from the rules we have designed that there will be complexity, high compliance costs and inconsistent rules and these are characteristic of many overseas capital gains tax systems. Not just 'Tax the Rich Pricks', but 'Prevent the Formation of Future Kulaks'.....worked real well for the Ukraine. There is no double taxation agreement over ASX listed shares paying dividends. The Governments on both sides of the ditch are double dipping and don't plan on changing it. So the non-academic, non-Labour aligned members with tangible experience of what the consequences would be dissented.